We provide schools / clubs & associations with online shops that sit on their websites & allow their members to place orders & pay online. This gives the organisation the facility to track each transaction & earn a commission, whilst having to hold NO STOCK . The commission amount is set by the client, & is paid once a month when a statement showing all the orders is automatically produced. 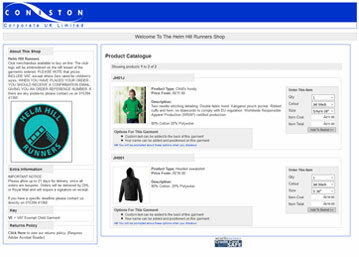 We also have a version of this online shop facility which works specifically for business, where a company can allow their staff to have individual login details & buy their uniform whilst using a £1 to 1 credit system. 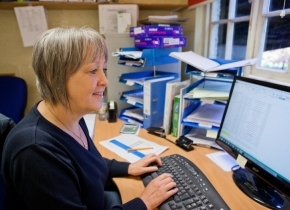 Each member of staff is given an agreed number of credits with which to buy their uniform. At the end of each month we then invoice the company for the amount of uniform bought during that period. Our ORDER TEMPLATES are a great way for you to place orders with us online, these are purpose built for you with the items you regularly order, and accessed by your own login and password. Your template will have all your colours / logos / sizes pre set, so all you have to do is choose what you require and add any optional logo text. At this point you will be able to approve the order detail and total cost. & most importantly of all it means you will get your garments even quicker than usual !